The Pens won't get much time to reflect on a disappointing performance against the Washington Capitals as they're right back in action tonight, heading up to Ottawa to take on the Senators. The quick turnaround marks a dramatic shift from recent games, as the Pens have had 3 and 8 days breaks between their last two contests. With only Brian Dumoulin still on the injured list, and Matt Murray back and expected to start tonight, Pittsburgh will look to get on track and keep pace with the rest of the stacked Metropolitan Division over the second half of the season. 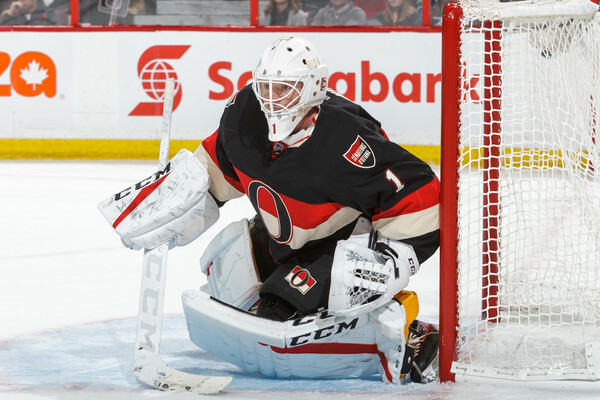 The Penguins managed to turn goaltender Mike Condon into a 5th round pick after claiming him off waivers from the Montreal Canadiens, and he's helped to keep the Senators in playoff contention as Craig Anderson remains on an indefinite leave of absence to be with his wife during her cancer treatment. Condon has performed well in Anderson's absence, with a 0.919 SV% and 2.32 GAA on the year more than offsetting the loss of draft pick. While the Ottawa offense as a whole leaves much to be desired, ranking 22nd in both goals per game (2.46) and power play conversions (16.3%), Eric Karlsson continues to be one of the best offensive defensemen in the league. The two-time Norris Trophy winner might not match last season's point per game pace, when he finished 4th among all players with 82 points, but his 32 points (7g, 25a) still rank 3rd among all blueliners. However, he has struggled in the possession game this season, with his 47.7 CF% marking the first time in his career he's fallen below 50%. It's also the first time he hasn't bested the Senator's possession with him off the ice (47.7 CF%) after having finished no fewer than 4 percentage points better relative to his teammates every year since 2010-11. It's a trend that Ottawa would no doubt like to see reversed, as they're likely to be in a dog fight to stay in 3rd place in the Atlantic Division. - Justin Schultz extended his points streak to a career best 6 games in the loss to the Capitals, while Phil Kessel also kept pace to match Schultz for the longest active streak on the team. - It's been one of the Penguins' best seasons to date over the first half of the year, and regardless of the outcome tonight they'll have the third most points in franchise history through 41 games. The best first half of the season belongs to the 1992-93 President Trophy winning team with 60 points, while the lockout shortened 2012-13 season set the team record for most points through 41 games played with 62.